I haven’t posted a Tasty Tuesday in a long time. I’ve been trying lots of new recipes lately but haven’t had time to share them. Last night I made this recipe which I found on pinterest. The prep time was 10 min, then I baked it in the oven for 40 minutes at 375º. I love how the house was filled with the smell of rosemary. 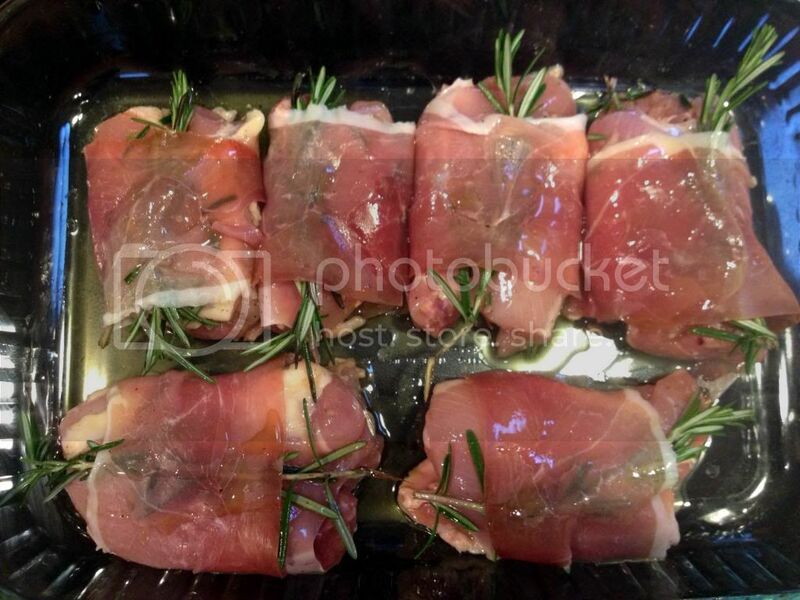 Wrap the chicken pieces in prosciutto, placing a rosemary sprig in the center before wrapping. The sprigs should stick out a bit at the edges of the chicken. Drizzle balsamic vinegar on top before serving and serve with lemon slices. This entry was posted in Beach Life and tagged Chicken, Proscuitto, Rosemary, Tasty, Tuesday, Wrapped. Bookmark the permalink.